Perpetuity or Limited Lifespan: How Do Family Foundations Decide? This study of family foundations in 2008 summarizes key findings regarding how many active family foundations are planning to spend down or exist in perpetuity (or have not yet made a decision), and examines their motivations and decision-making. How to measure the value and results of corporate philanthropy remains one of corporate giving professionals’ greatest challenges. This report offers a review of recent measurement studies, models, and evidence drawn from complementary business disciplines as well as the social sector. As the KM Partners transitioned from proprietary, outmoded systems to the new Drupal-Salesforce platform, we conducted a thorough discovery and vendor selection process. The documents resulting from that process are presented here for historical reference. Sample job descriptions or announcements for positions involving programming or grantmaker education responsibilities. Use this resource as talking points for your Hill meetings at FOTH. The document includes suggested topics and messages to deliver to your members of Congress to ensure that all delegations are speaking with one voice about the issues that impact the sector. The Forum's latest 990 tax form as submitted to the IRS for the 2017 financial year. Maximizing Corporate Community Investments is a comprehensive education program for corporate giving professionals. Compiled responses from a January 27, 2010 listserve query regarding the use of online communications to promote RA annual conferences. This tool for unstaffed foundations includes an accountability self-assessment and a legal checklist. It is divided into nine topic sections, each of which is divided into three levels, which can help foundations tailor the tool to meet their specific interests and needs. Also included are an Excel spreadsheet to help tabulate responses, an extensive accountability resource list, and a glossary of key words and concepts used in the tool. Descriptions for regional associations positions involving finance, administration, or human resources. 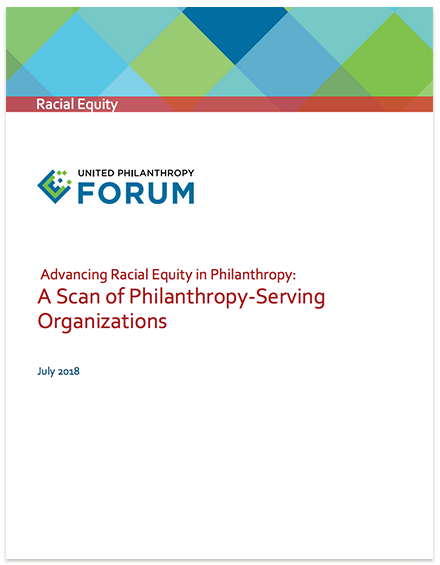 This guide examines women's roles in philanthropy and features “how to” sections on creating and using a variety of forms of charitable giving, as well as working with professional advisers. Review the bylaws and governance of United Philanthropy Forum. Last updated December 2016. This document states the investment policy of the Board of Directors (The “Board”) of the (the “Foundation”). It applies to the Foundation’s professionally managed invested assets (the “Fund”) and to the spending rate for assets invested in the Fund.